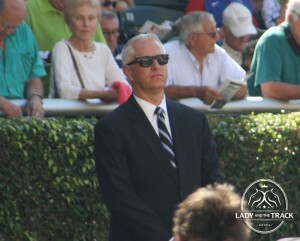 Sharply dressed trainer Todd Pletcher entered Violence, with 9/5 odds, in the 2013 Fountain of Youth at Gulfstream Park. 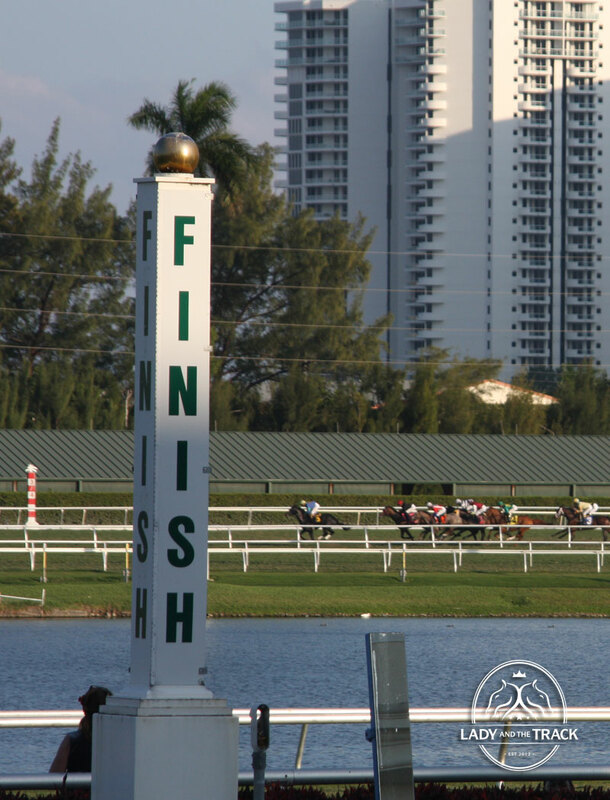 The 2013 Fountain of Youth takes place this Saturday February 23 at Gulfstream Park. 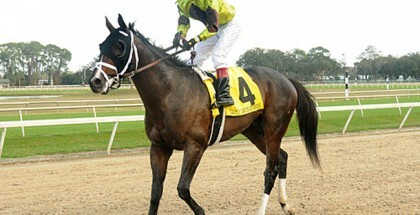 The Fountain of Youth is a 1 1/16 mile dirt race for three-year-old colts and a prep race for the 2013 Kentucky Derby. Fans and experts are buzzing about Doug O’Neill’s He’s Had Enough, with 8/1 odds, and Todd Pletcher’s Violence, with 9/5 odds. Starting from post position number nine in the 2013 Fountain of Youth is He’s Had Enough. The gray Tapit colt is one of my favorite horses at the moment. He’s Had Enough is definitely in my top two picks to cross the finish line first on Saturday. He ‘s an extremely talented horse with a desire to win. I just worry about all the traveling this gray beauty has endured over his career. Trainer Doug O’Neill shipped He’s Had Enough to Gulfstream after drawing an unfavorable post position for the Risen Star at Fair Grounds in New Orleans that also takes place on Saturday. Experts have their eye on Violence for the 2013 Fountain of Youth. I’m no expert, but I feel really good about Violence. World famous jockey Javier Castellano will be aboard Violence breaking from post position number three. I’ll definitely put some money down on Violence to at least place. My one and only beef with this beautiful undefeated colt is Todd Pletcher. Trainer Todd Pletcher is the best-dressed man at Gulfstream Park. Naturally the Lady and The Track team continuously attempts to photograph Mr. Pletcher to feature his great sense of style on the site. Problem is, he never smiles for us! 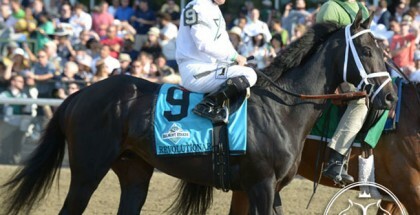 I also like Falling Sky, with 6/1 odds, for the 2013 Fountain of Youth. Our Tampa based fans adore Falling Sky and describe him as a Florida fan favorite after winning the 2013 Sam F. Davis Stakes at Tampa Bay Downs. Experts predict Falling Sky will push his way to the front of the pack early on but worry he won’t go the distance. I don’t know much about Falling Sky other than he’s a late addition to the field. Falling Sky’s trainer John Terranova stated he feels good about the colt breaking from post position number ten. Cerro, with 4/1 odds, has a real shot at winning the 2013 Fountain of Youth. I usually don’t put my money with Motion trained horses but will make an exception with Cerro. 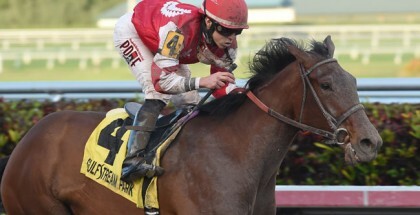 The winner of the 2013 $400,000 Fountain of Youth will be awarded fifty points towards their chances at running in the 2013 Kentucky Derby. The large field of Derby hopefuls participating in Saturday’s race pleasantly surprised experts. 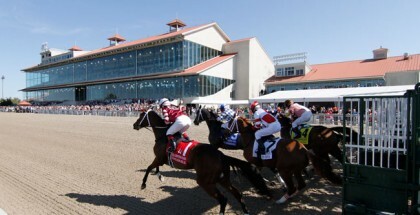 It’s said racing secretary Dan Bork only expected a field of six to seven horses start in the 2013 Fountain of Youth. The 2013 Fountain of Youth is the eleventh race of the day at Gulfstream Park on Saturday February 23rd with a post time of 5:35 PM EST. Lady and The Track would like to wish all the contenders in the 2013 Fountain of Youth the best of luck! Good Luck! Safe Run!